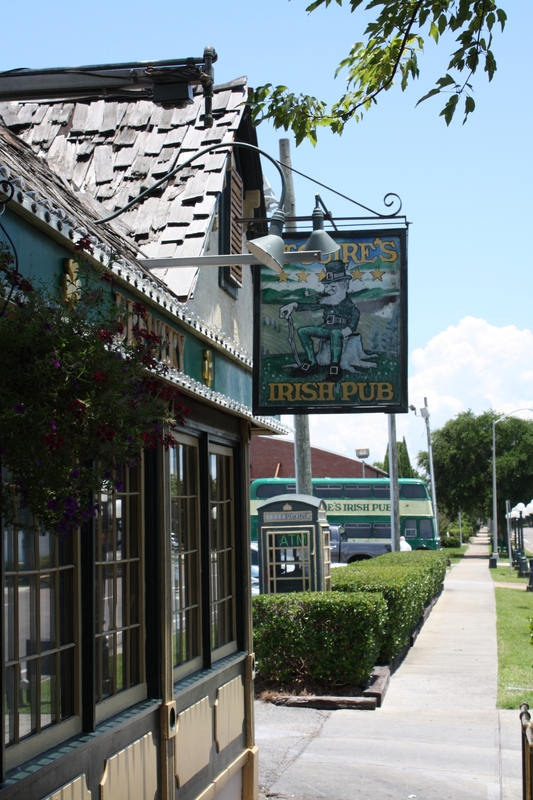 McGuire’s Irish Pub is a Pensacola landmark. Everything they serve is magically delicious. If you’re like most of us- you go to McGuire’s for a great steak or traditional Irish food; corned beef and cabbage or a Reuben. But what about their burger? The burger at McGuires is a 100% angus steak burger. It’s monstrous– weighting in at ¾ of a pound. The patty is a hand-formed custom mixture of ground steak trimmings and lean beef. The burger arrives open (bun laid to the side.) The patty is flame kissed and charred perfectly. The McGuire’s burger is quite simply- ground steak on a bun. From the very first bite there’s no question this patty is made from the highest quality beef. Cooked to order and well seasoned- the beef is the highlight of this burger. The bun (like the patty) is huge. It’s more of a Kaiser roll, buttered and grilled, but sadly the bun was thought by many to be “too big” and labeled “dry” by several panel members. The produce at the McGuire’s is average. The tomato is decent, the slice of romaine is disposable. The slice of red onion was nice- bold without being bitter. The “sharp” cheddar cheese was thought by many to be mild in flavor. The beef is hands down the highlight of this burger. The rest of the elements are just average. 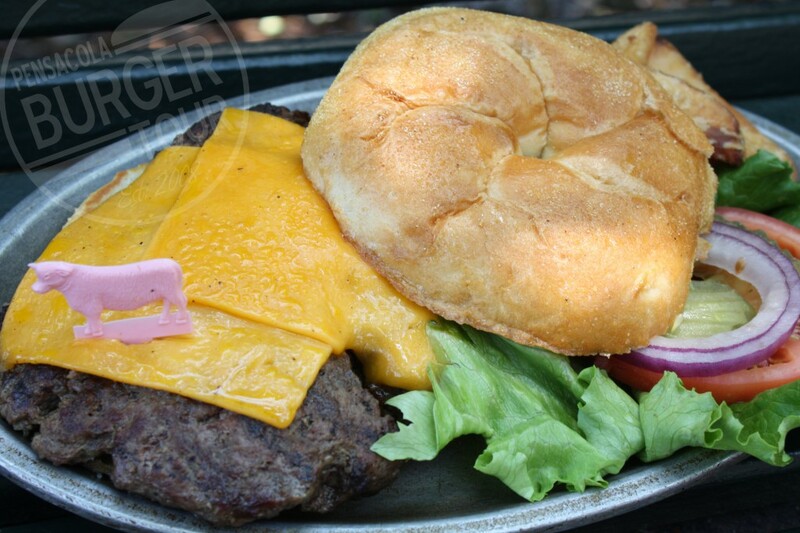 For that reason, the burger scored well, but not well enough to be crowned best in Pensacola. The McGuires burger finished with a final score of 7.17 and is definitely worth trying. Check out McGuire’s this week. Kiss the Moose. Order a burger. Let us know what you think.